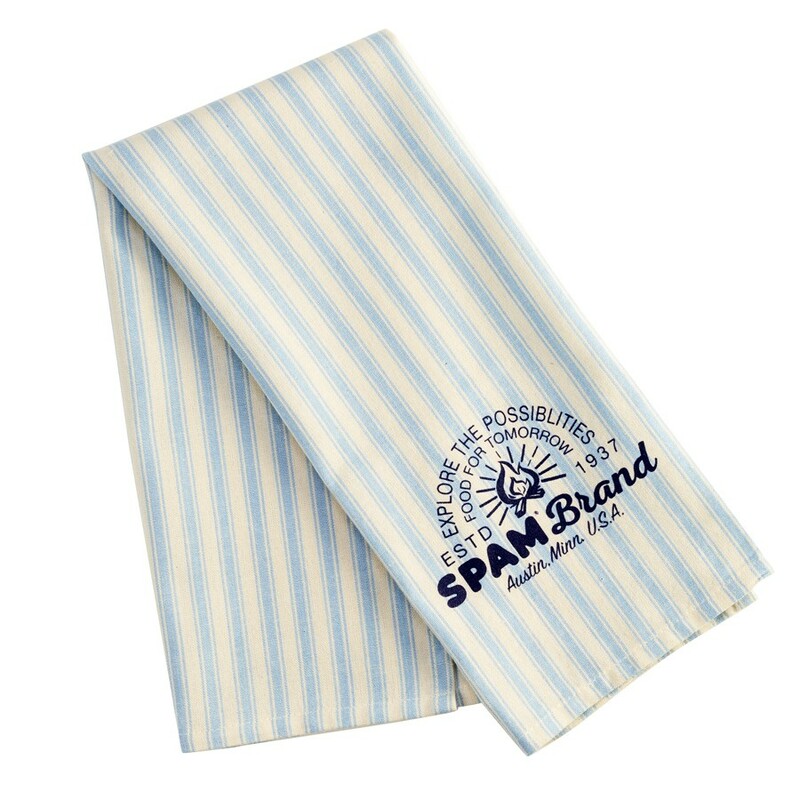 SPAM® Brand stripe dish towel with "Explore the Possibilities. Food for tomorrow. Est. 1937. Austin, Minn, USA" logo imprinted in navy blue. 27-1/2"X18". Get a matching set see G6522 & G6528.